Jane Kreis is the inaugural Director of Theatre Network NSW (TNN), the support, networking and advocacy organisation dedicated to the NSW theatre sector. Jane has an extensive history in theatre and executive management and has been a long-term advocate for a NSW theatre network. She comes to the Network from 5 years as Executive Officer and Regional Arts Development Officer of Arts North West (the Regional Arts Board for the New England area in North Western NSW). 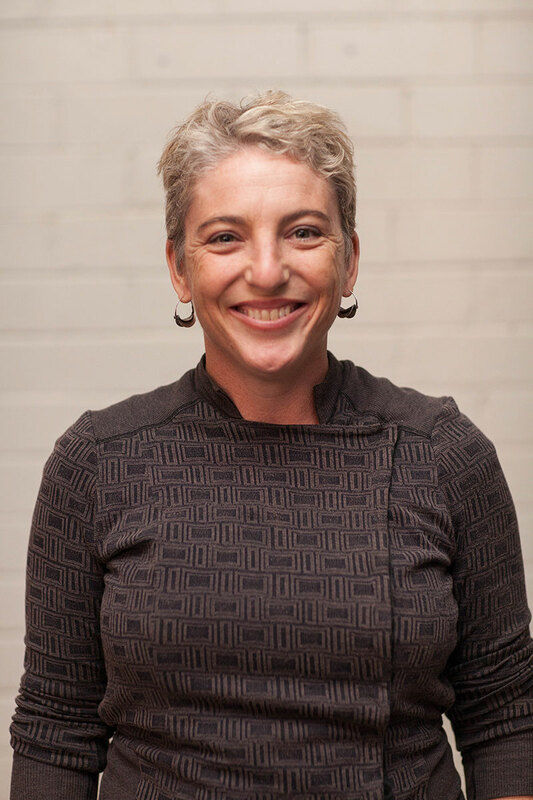 Jane holds a PhD in sustainable Australian Independent Theatre practices from the University of Wollongong and a Masters in Principles of Performance Presence from Queensland University of Technology. Her experience as a theatre practitioner underpins much of her research and arts management. Bronwyn has 25 years’ experience in the management of the performing arts as a CEO and consultant. She is currently Principal of Independent Thinking and Associate Director with Aegeus Executive Search. Her arts industry roles include founding General Manager of Perth Theatre Company, General Manager of Arts on Tour NSW, Director of Illawarra Performing Arts Centre (Merrigong Theatre Company), General Manager of Black Swan State Theatre Company, General Manager of City Recital Hall Angel Place, and General Manager of Bell Shakespeare. Bronwyn has been president of both the national (APACA) and NSW performing arts centres’ associations (NAPACA). Amy Maiden is General Manager with Australian Theatre for Young People (ATYP) and has built her theatrical career globally, with experience across a variety of roles and facets in the industry. Amy previously worked with the global marketing agency AKA in London, New York and was responsible for opening and managing their Sydney office. Amy’s career has allowed to work with companies and producers including Sydney Opera House, The National Theatre of Great Britain, The Royal Court, The Powerhouse Museum Sydney, The Young Vic, as well as the full gamut of large-scale musical and commercial theatre. Carmen is a Chartered Accountant in Assurance with Price Waterhouse Cooper Australia and has over 12 years of experience in PwC in accounting, auditing and corporate governance. She has worked in South Africa, UK and now Australia. A former dancer, Carmen carries with her a passion for performing arts and an interest in not-for-profit governance. Ben is Co-founder and Partner of Kay and Hughes Art and Entertainment Lawyers. Having grown up surrounded by the influences and characters of the Australian theatre industry, Ben also has an intimate understanding of the processes behind the scenes of theatrical and musical productions and an ability to form lasting working relationships with actors, directors, producers, agents, managers, and crew. Stephen is Manager of the Bathurst Memorial Entertainment Centre (BMEC) and has worked in the performing arts for 40 years. Previous roles include Associate Director with Drugie Studio Wrocławskie, Poland, Artistic Director of Jigsaw Theatre Company in Canberra, and Domain Manager for the Sydney Festival. Alison (Ali) Murphy-Oates is a Wailwan woman (Central-West NSW) who was born and raised on Darkinjung land (Central Coast NSW). Ali is currently Company Manager of Moogahlin Performing Arts. In 2015 Ali co-produced the 4th National Indigenous Theatre Forum at the Judith Wright Centre in Brisbane, and as an outcome of the forum is now working with a national group of peers to develop a new peak body for First Peoples performing arts in Australia. Ali is also an amateur weaver, and has been studying and practicing Koori methods of grass weaving. Penny Watts became the founding General Manager with Monkey Baa Theatre in 2012. Penny came to that role having worked from 2007 to 2011 for Really Useful Company as 'Cats' General Manager and then as Executive Producer of Really Useful Company. Prior to that Penny was General Manager for Perth Theatre Company; General Manager at Riverina Theatre Company; Tour Coordinator at Arts on Tour NSW and Production Manager for Railway Street Theatre Company. Imogen Gardam joined Bell Shakespeare in 2015 as Executive Assistant, and has since been appointed Artistic Administrator, supporting General Manager Gill Perkins and Artistic Director Peter Evans. Imogen works across casting and contracting for the Company. Imogen is a graduate of Media and Communications from the University of Sydney, and has previously worked for Hopscotch Features, Entertainment One Australia and The Festivalists. Imogen also runs and produces for independent company Montague Basement, which she co-founded in 2014. Imogen is the 2018 winner of the Rose Byrne Scholarship for an Emerging Female Leader in the Arts. Nick Atkins is a Playwright and Director. He graduated from UNSW with a BA Media and Communications with 1st Class Honours in practice-based research. He is currently Director, New Work for Penrith Performing & Visual Arts where he leads the Q Theatre programme at The Joan. For Q Theatre he has directed Daisy Moon Was Born This Way, Frankenstein & Teacup in a Storm. He has completed residences with Blacktown Arts Centre, Urban Theatre Projects, Performance Space, PACT, UNSW and Centre D’Art Marnay Sur-Seine. He we awarded ATYP’s Foundation Commission for his play Wonder Fly, his one-man show, A Boy & A Bean (PACT, Q Theatre) was awarded Best Performing Arts event at Mardi Gras and he recently presented his new work Boom at the National Play Festival with the support of PWA and National Theatre of Parramatta. Nick has worked as an Associate Producer and Co-Artistic Director of Crack Theatre Panel and was Board Member of PACT Centre for Emerging Artists.